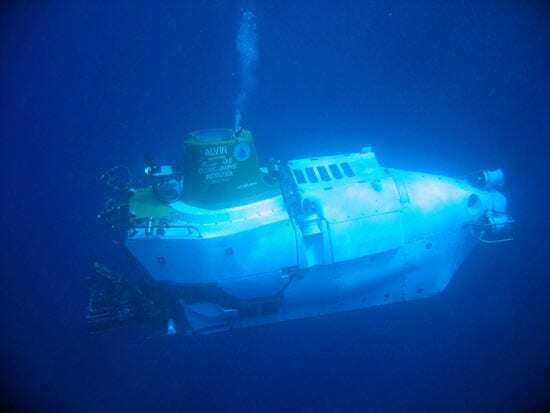 Forty summers ago in the Bahamas, two men climbed inside a 23-foot white submarine named Alvin and drove it to a depth 6,000 feet, a dive that certified them as the first pilots of the world’s deepest-diving research sub. But in the four decades that followed, Alvin has safely transported more than 8,000 researchers on more than 4,100 dives to some of the blackest, coldest, and most remote places on Earth—to depths of 14,764 feet (4,500 meters). 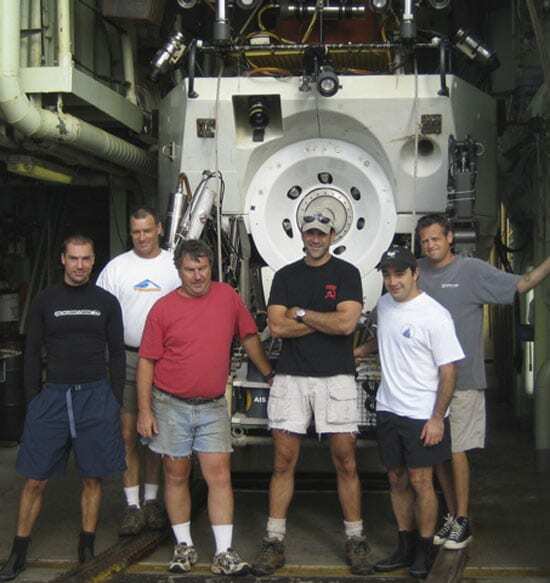 While the United States has maintained a small fleet of space shuttles since 1981, Alvin is the country’s sole deep-diving research submarine. Some 75 space shuttle pilots have flown missions, but since 1965, the job of driving Alvin has gone to just 34 men and one woman. Mechanically minded and adventurous, Alvin pilots are the equivalent of the oceans’ astronauts. Their skills have allowed scientists worldwide to explore the ocean depths, map undersea volcanoes and valleys, examine previously unknown ocean life, gather water, rock, and biological samples, and see firsthand the ruins of the Titanic. They view sights that—though still on Earth—are nevertheless extraterrestrial, and they bear witness to revolutionary scientific discoveries. Larry Shumaker, now 73 years old, was a pilot in 1977, the year scientists first identified hydrothermal vents on the seafloor near the Galápagos Islands. Their finding would change ideas about where and how life could exist. Former pilot Tom Tengdin was amazed by the tall seafloor rock formations, called black smoker chimneys, that were discovered in 1979. Belching black, scalding, mineral-rich fluids into the ocean, the smokers transformed scientists’ understanding of the Earth’s crust and the ocean’s chemistry. Pilots are more than deep-sea bus drivers who ferry scientists from surface to seafloor. Most have engineering degrees, and their certification with the U.S. Navy includes drawing—by memory—dozens of the sub’s intricate hydraulic, ballast, electrical, and mechanical components and systems. They are skilled swimmers; every launch and recovery requires assistance in the water. They are all mechanics as well as pilots; if anything breaks during an expedition, there are no fix-it shops at sea. Just maintaining the sub’s electronic and mechanical components requires at least five hours of work daily. Every three months—or every 25 to 30 dives—Alvin undergoes maintenance and inspection. And every three to five years, Alvin undergoes a six-month overhaul and modernization at Woods Hole Oceanographic Institution. There, the pilots help clean, examine, and reassemble every component of the sub. “Not to make it sound too dramatic—because the sub is very solid—but we’re constantly working hard to make sure that the sub comes back up to the surface,” said pilot Anthony Tarantino. At sea, daily chores begin before dawn, when the entire group rises to check the submersible’s equipment and ensure that the batteries are charged. They test electronic gear, from radios to temperature gauges and depth-readers. They make sure Alvin’s cameras work and video recorders are loaded with tape. They add a total of 832 pounds in ballast weights—stacks of steel plates—to each side of the sub. These make Alvin heavy enough to sink to the seafloor. Then the glory begins, when two scientists slip into the sub’s 6-foot sphere, huddle against tiny view ports, and turn to today’s pilot who will take them to the seafloor. When the sub resurfaces in the evening, another pilot will hose corrosive salt water off Alvin and its components. Meanwhile, tomorrow’s pilot meets with scientists to plan strategies for the next day’s mission. Piloting Alvin comes with modest fame. Children’s books describe the team of six or seven Alvin pilots and pilots-in-training that accompanies the sub on each expedition. 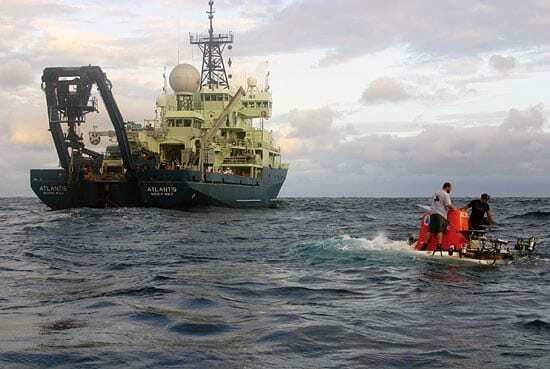 Teenagers send e-mail messages to their support ship, the research vessel Atlantis, asking about the two-to-four-year, at-sea training process. (See What is the Alvin Training Program Like?) Strangers on airplanes and parties who ask, “What do you do?” grow wide-eyed at their response. For every 40 applications to the Alvin group, one person is accepted into the pilot training program, which requires worldwide travel and up to eight months each year at sea. But for all the work involved in getting into the pilot seat, piloting Alvin isn’t a career. (See Life After Alvin.) Some of today’s pilots may not be around when Alvin is retired and replaced in 2009 by a new human-occupied submersible, now being designed. 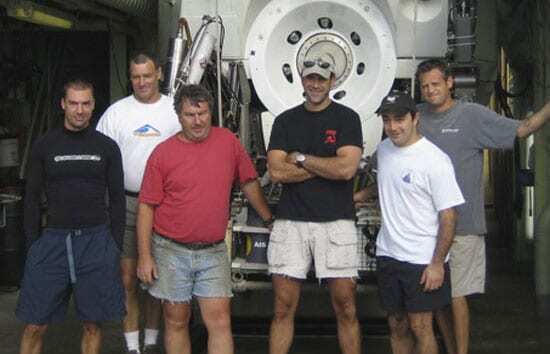 Interviews with the pilots who take Alvin to the deep. A conversation with Alvin pilot Anthony Tarantino. You can't keep former Alvin pilots down on the farm, once they've seen the seafloor.